The Intermec 700c is the no-compromise, next-generation ultra-rugged mobile computer that achieves true functional agility with the perfect balance of ruggedness, duty cycle, and ergonomics for the most demanding working environments. * Intel XScale PXA250 Applications Processor, 400 MHz. * Preloaded Windows Mobile 2003 Software for Pocket PC. * Integrated Bluetooth allows cable-free connections to other Bluetooth enabled devices (mobile phones, printers, headsets and keyboards). * Rugged design for heavy duty use. 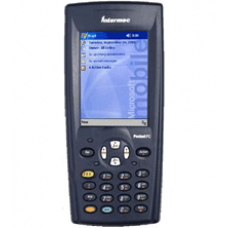 For more details about iPAQ Repair and Parts grading system for refurbished units, click here to view our handy guide.